In January 1906 two wandering prospectors, John Ramsey and John (One-Eye) Thompson were headed towards the new gold strike at Harrisburg. Along the way a blinding fog came in and the two camped near Emigrant Spring for fear of getting lost. When the fog lifted they noticed some ledges with promising colors. They filed their claims and kept news of their strike quiet for a couple of months. Bob Montgomery purchased their group of claims entitled the Gold Eagle group. Plans were made that by Jan. 1907. a quartz mill would be installed. Water came from Emigrant Spring, five miles away by trail and seven by wagon. This couldn’t provide enough water for the operation though, so plans were made to acquire the water rights of some springs near Telescope Peak. The water was to flow by gravity pressure from Birch Spring to the mill in a long pipeline ranging from 6-10 inches in diameter. It was estimated to cost $150,000 and fall 1800 feet to generate enough force for mining and milling. It was to be strung in 20-ft. lengths, weighing 650 pounds a length with 18 miles weighing 1544 2/5 tons. By July 4, 1906, the town seemed assured of success. Plans had already been made for an auto line from Beatty, a stage line seemed definite, application had been made for a post office and with its high altitude (5600 ft.) production could continue all summer. By the end of August 1906 a townsite had been marked out. No one will ever know exactly how the town got its name, 23 Skidoo. Possibilities include the 23 mile water line (which is actually 22 miles long), the 23 claims initially flied, the location of the claim on the 23rd of January, and the 23 men who founded the town. By March of 1907, Skidoo boasted 400-500 citizens and had stores offering mining equipment, hardware, clothing, dry goods and groceries. There were saloons, a newspaper, restaurants, a physician, and lawyers. By April the town had 130 homes and businesses of frame, wood and iron. A phone line had been completed to Rhyolite, permitting outside communication. In November 1907, the pipeline was finally completed and water flowed into Skidoo. Final tally on the cost was $250,000. The financial panic of 1907 affected the town by reducing plans for additional businesses. By the fall of 1908 mining activity had slowed tremendously in Skidoo due to the scarcity of mills in the area. Mining activity ebbed and flowed over the next several years and in September 1917, the rich vein was played out and the mine closed down for the last time. 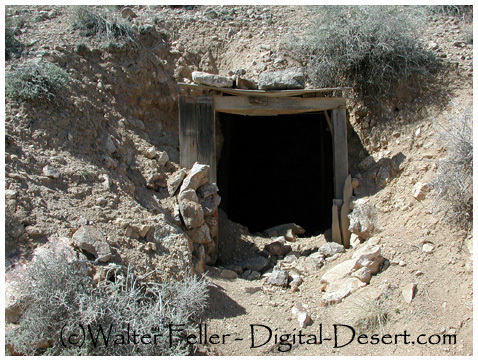 By 1922 several buildings were still standing along one street and an old prospector "Old Tom Adams" was the lone citizen. 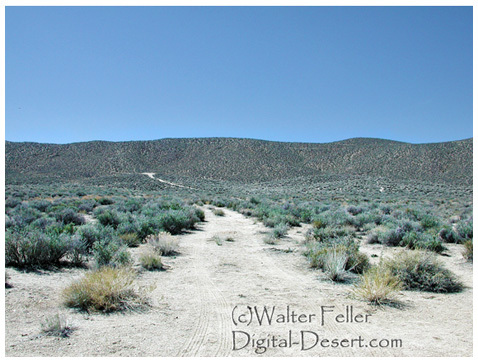 In 1923 Skidoo was one of the location sites for the Hollywood film, "Greed" which was the first feature film made in the Death Valley area. 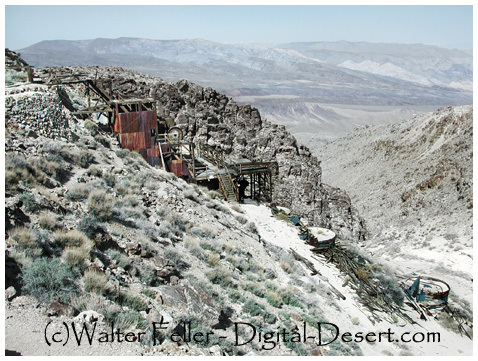 Skidoo was one of the last gold mining camps in Death Valley. One of the unique features of the mining operation in Skidoo was the mining of large amounts of gold ore by going into narrow ore veins using large-scale mining efforts. The pipeline to Skidoo is considered to be a marvelous feat of engineering. It crossed from Skidoo over Harrisburg Flats and Wood, Nemo, and Wildrose Canyons to the Telescope Peak area.